Our kids keep us busy everyday. Part of my duties as a stay-at-home mom is to chauffeur my little princesses to their various classes, practices, and parties. After a while, the money we spend for gas adds up quickly. 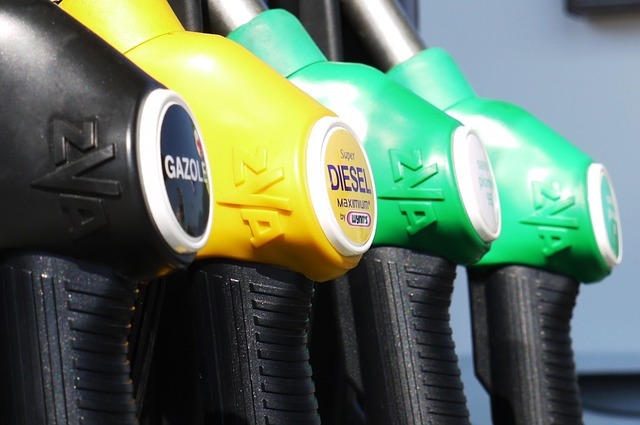 If you are trying to save money and live more frugal so that you can add more money to your savings account, below are 3 simple ways that we continue to save money on gasoline for our cars. Use public transportation. The easiest way to save is to consume less gas in general. But if you still have places to go, how do you manage to drive less? Well, my husband, uses public transportation to get to and from work, which helps save us at least $50 per week. The best part about it, is that he also gets exercise by walking to the station. Public transportation isn’t always my forte so I drive less by consciously planning out how I will run my errands. For example, after I take my children to their practices I stop at the nearby stores on the way home, so I don’t have to make double trips. Planning is also important because if you plan correctly, you can purchase a car that will be good on gas. Generally, popular automobiles that are good on fuel are hybrids, electric cars, and diesel run vehicles. Cash in by using grocery rewards cards. I use Safeway a lot for my grocery shopping and one of the extra bonuses I receive is that for every amount I spend in the store, I earn points off of the pump. At Safeway their rewards program is tied to Exxon and Mobile and customers can earn up to $1 off per gallon of gas. I also usually pump my gas on a Wednesday, which is Exxon’s cheapest day. Safeway’s Just For You app often offers gas bonus points such as 2x the gas rewards per purchase. Other grocery stores which offer gas rewards are Kroger, Weiss, Giant, etc. Food and gas are necessities so being strategic when purchasing both can help you save money later. By gas wholesale. When I don’t have a lot of gasoline rewards to cash out, I fill up at a wholesale store like Costco, Sam’s Club, or BJ’s Warehouse. If you are a member, their gasoline prices can truly save you hundreds of dollars. Typically their regular prices are at least $0.10 cheaper than other gas stations. There are also apps like the Coupon app that will tell you where to purchase the cheapest gasoline is in your area. Monday through Wednesday are the cheapest days to fill up on gasoline. I have watched and charted pump prizes for years and the weekend: Friday through Sunday are when gasoline prices are the highest. Additionally, I have read that you will get more for your money at the pump if you get your gas in the morning before the heat of the day. You may have noticed two prices posted at one of your local gas stations, many charge a cheaper price if you use cash. Sometimes the price can be as much as $0.10 cheaper. Click here to earn more gasoline saving tips.